Are you confident that you’re getting the full reimbursement for breast examinations carried out at your facility? 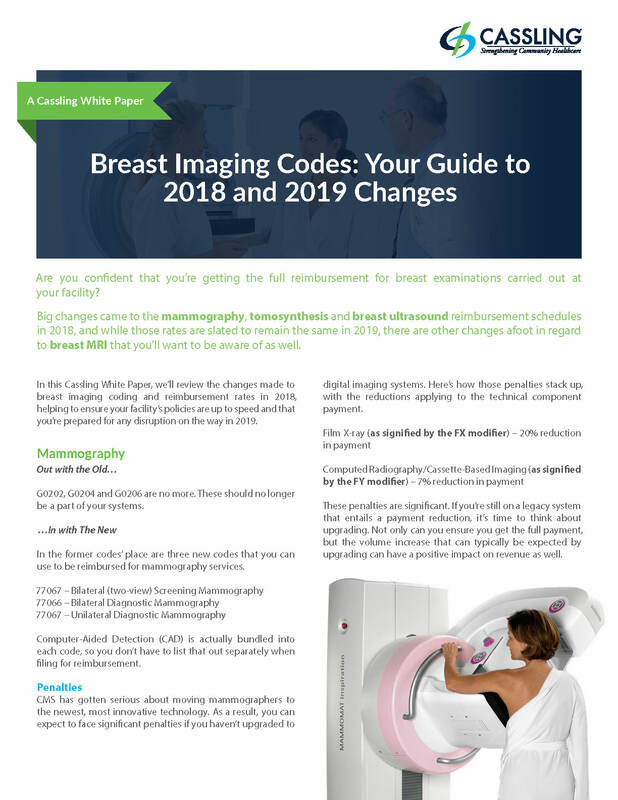 Big changes came to the mammography, tomosynthesis and breast ultrasound reimbursement schedules in 2018, and while those rates are slated to remain the same in 2019, there are other changes afoot in regard to breast MRI that you’ll want to be aware of as well. In this Cassling White Paper, we’ll review the changes made to breast imaging coding and reimbursement rates in 2018, helping to ensure your facility’s policies are up to speed and that you’re prepared for any disruption on the way in 2019.